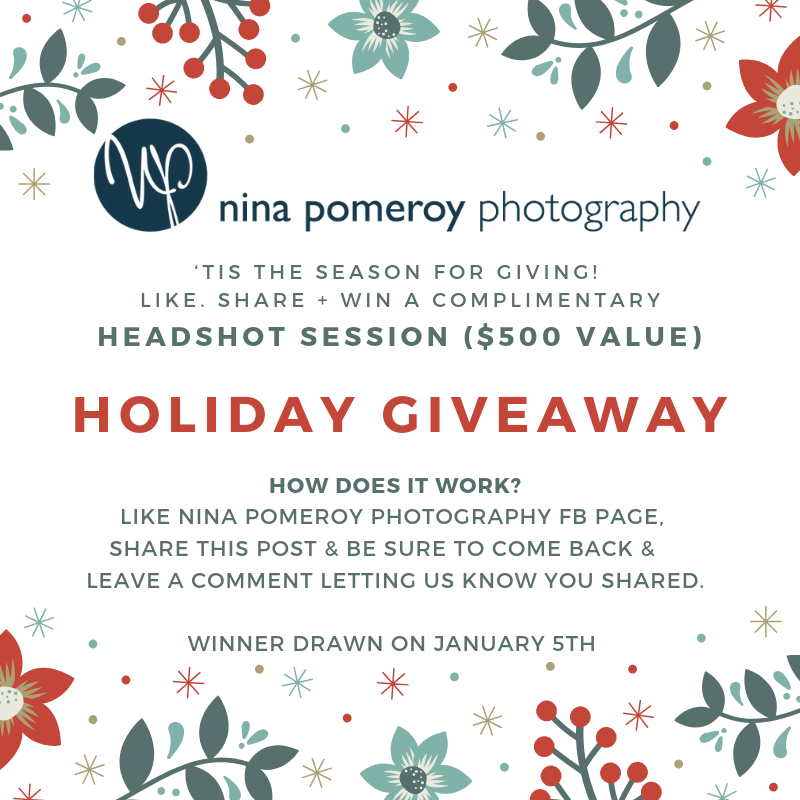 Holiday Giveaway - win a Headshot Session in 2019! ‘Tis the season for giving! Time to spread a little holiday cheer! Make sure you like Facebook page. Scroll to the pinned giveaway post and like & share the post. Leave a comment on the post letting us know you shared so we can add your name to the drawing. It doesn't matter if you're a previous client or not, anyone can join in!